Doppest singer ever "MIIDE DRIIZ" a.k.a. 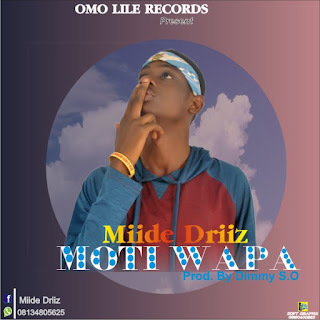 ​Chlopheniramine​,ol of ​omo LILE gang released his first track and single tittled "​MOTI WAPA"
Which is totally loved by everyone because of his ever blowing mind lyrics. which is mixed and mastered by our handsome producer "DIMMY S.O"